Chris has been the Center’s Project and Developmental Lead since 2013 and is responsible for strategic planning and managing projects; public involvement and visioning; facilitating and mediating; fund raising; and organizational development. 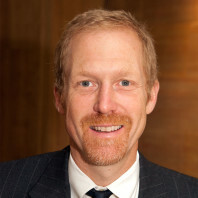 With more than 20 years of experience on Pacific Northwest natural resource and governance issues, Chris works closely with parties to assess complex situations with big picture thinking and a systematic approach. His listening skills, positive attitude, flexibility and focus on results enables groups to work efficiently and productively. His written and verbal communication skills bring clarity and precision. His ability to understand and bridge conflicting perspectives enables groups to come together and accomplish challenging goals. Chris has done development work throughout his career since 1991 including donor and major gift cultivation; foundation and government grant research, writing, management, and reporting; special event coordination; direct mail appeals; donor stewardship; and special project fundraising. In his spare time, Chris enjoys playing & coaching ultimate frisbee, camping & hiking, cooking and playing & listening to music.